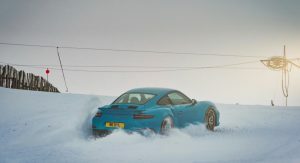 Who Needs A Ski Lift When You Have A Porsche 911 Turbo S? 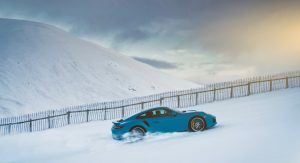 Porsche has been offering all-wheel drive on the 911 for three decades and the system is more advanced than most people realize. 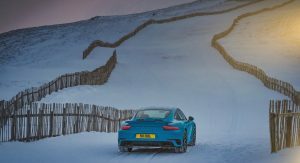 In order to prove this point, Porsche took a 911 Turbo S on a journey which spanned the greatest elevation changes possible in the United Kingdom. The trip started 10 feet (3 meters) below sea level in Lincolnshire and eventually spanned over 400 miles (643 km). 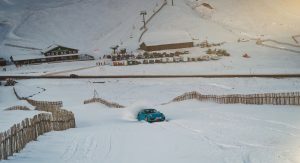 The journey culminated at the base of the Glenshee Ski Center in Scotland where the car was equipped with winter tires. 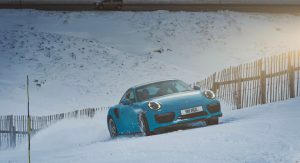 After the change, the 911 continued on its way to the summit of the center’s largest slope. As you can see it the video, the model successfully climbed the hill and was able to reach 2,460 feet (749 meters) above sea level. 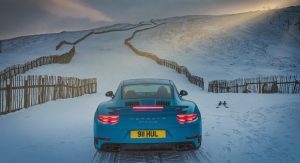 Porsche credits the accomplishment to the 911’s all-wheel drive system and the Porsche Traction Management system. 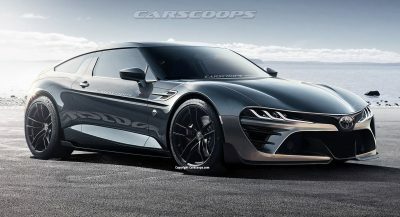 The latter uses an electromagnetic clutch and friction plates to “distribute a share of engine drive torque from the rear axle to the front within 100 milliseconds.” The company says the system optimally manages power and delays the onset of wheel slip which prevents the Porsche Stability Management system from intervening and getting in the way. 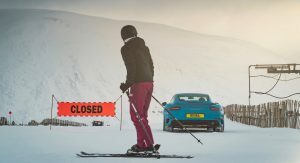 While most people would simply take the ski lift, the 911 Turbo S isn’t a bad backup as it has a twin-turbo 3.8-liter six-cylinder engine that produces 580 PS (427 kW) and 750 Nm (553 lb-ft) of torque. 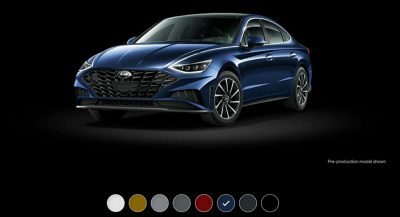 It is paired to a seven-speed PDK transmission and an all-wheel drive system which enables the coupe to accelerate from 0-100 km/h (0-62 mph) in 2.9 seconds before hitting a top speed of 330 km/h (205 mph). Those are some pretty aggressive tires. 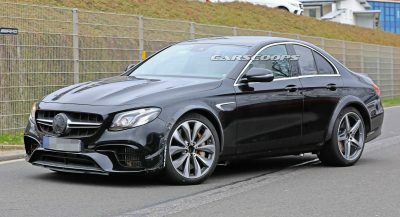 it looks like Pirelli Sottozero II. Cool. 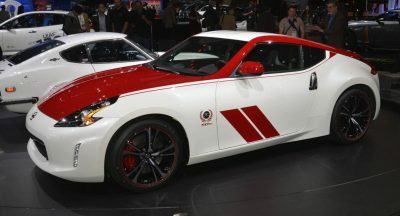 Need one as my winter car.